The Italian shooter is the first athlete of the world to secure a qualification spot for the London 2012 Olympic Games. Campriani, 22, brought back to Italy a title which was missing since more then 40 years, beating Hungary’s Sidi and India’s Narang. Niccolò Campriani, 22, from Italy, is the first qualified athlete for the London 2012 Olympic Games among all sport events. 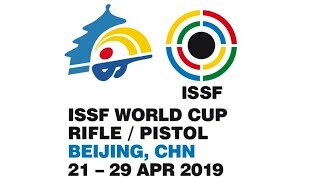 The young shooter won today’s 10m Air Rifle Men final, the opening competition of the 50th ISSF World Championship in Munich, the first 2012 Olympic Qualifying event that was opened yesterday by the IOC President Jacques Rogge. Campriani won his brightest medal in a final hall crowded by hundreds of paying spectator, under the eyes of his parents and his teammates, while the event was broadcasted live all around the world. The Italian shooter made it into the final with a qualification score of 599 out of 600 points, just one point far form the World Record. 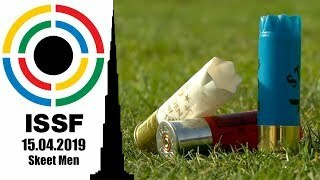 Then, shooting solidly in the final, he overtook the Hungarian shooter Peter Sidi, climbing up in the lead and eventually finishing on the highest step of the podium with a total score of 702.5 points. 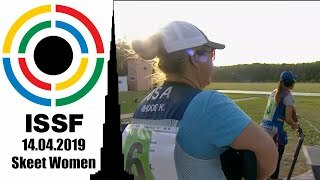 The Italian athlete, who had already finished in the spotlight during this year’s ISSF World Cup series by winning at world cup stage held in Fort Benning (USA), scored a total of 103.5 points out of today’s 10-shot final. "The Olympic Quota Place goes to the country, but I am glad I won it. – said Campriani after the award ceremony - I have secured an Olympic Quota Place, now I want to fulfill my Olympic dream!" The Italian athlete from Firenze, currently studying and training at the West Virginia University in USA, broke a negative record of the Italian Target Shooting team, winning a world championship title that Italian sport had been missing since years. "After 40 years, Italy comes back atop of a world championship podium, in a Rifle event – Said Campriani - This is going to help me, the sport and our federation, in the future. I am so happy!" The Silver medal went to Peter Sidi of Hungary, the “2009 Shooter of the Year” elected by the International Sport Press Association AIPS. The 31-year old Hungarian athlete finished in second place with a total score of 700.4 points, after scoring 101.4 points in the final. Sidi, who had finished in sixth at the last Games, also won an Olympic Quota Place, a qualification card for the 2012 Olympics. The 2004 Olympic champion and 2008 Olympic Silver medallist Zhu Qinan did not make it to fulfil his dream. “I wanna become the world champion, nothing less” the Chinese shooter had said just one month ago, after winning the World Cup stage held in Fort Benning, USA. He finished in fourth, today, with 698.9 points + 10.4 points, after shooting-off Italy’s Marco De Nicolo (fifth with 698.9 points + 10.0 points) and Russia’s Denis Sokolv (sixth with 698.9 points + 9.3 points). All of them secured an Olympic Quota Places, as six quotas were granted to the top-6 athletes in this event. USA’s Matthew Emmons, an Olympic multi-medallist, and Serbia’s Nemanja Mirosavljev finished in eighth and last place, both scoring disappointing 8s on their last shot, finishing out of the Quota Place zone.